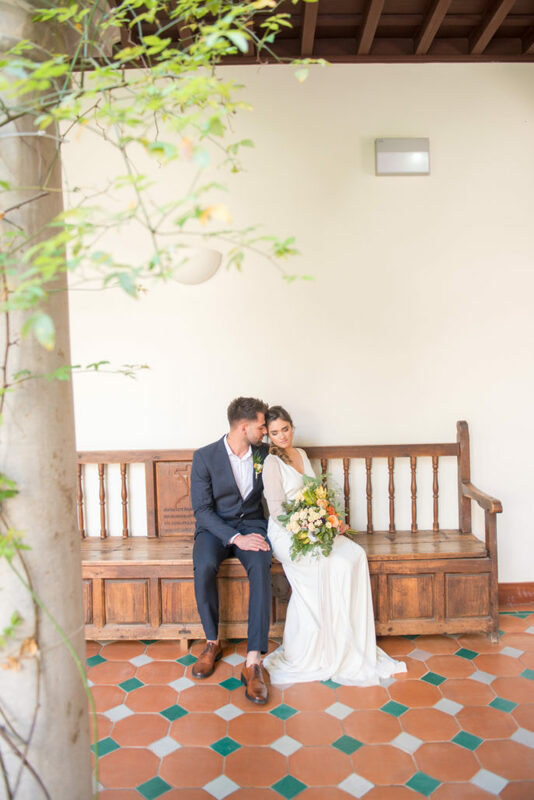 If you are dreaming to elope in a dream location, the photographers ANNA+MATEO, the wedding planner MERY LICCARDI,and the florist ALEJANDRA ROMERO, offer the chance to make your dream come true. 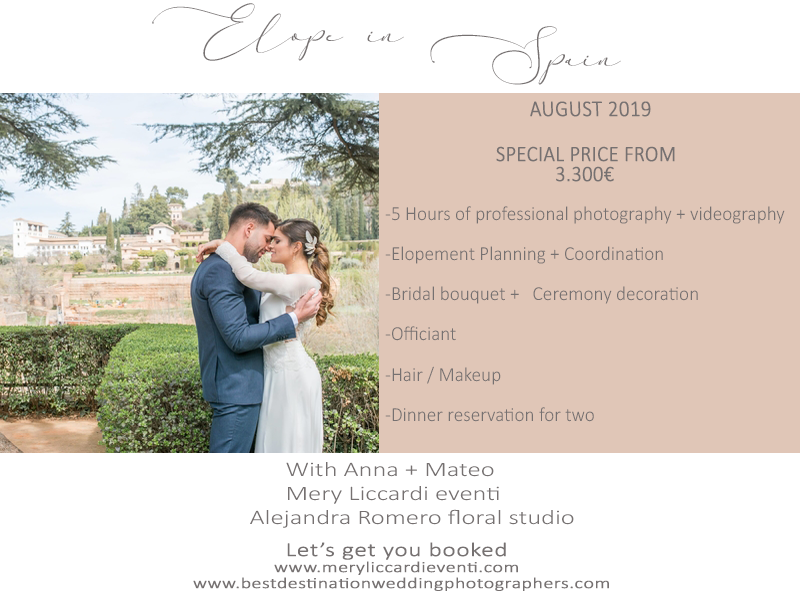 Next August 2019 you have the opportunity to make your elopement at very special price. Are you one of those couples that want to get married away from family and friends, only you and in an unforgettable place? 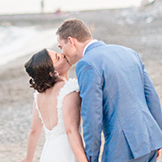 So Andalucía can offer unique locations as perfect backdrop where you can say “Yes, I do”. Floral decoration that includes: bridal bouquet, boutonniere and semi-arch for the ceremony. 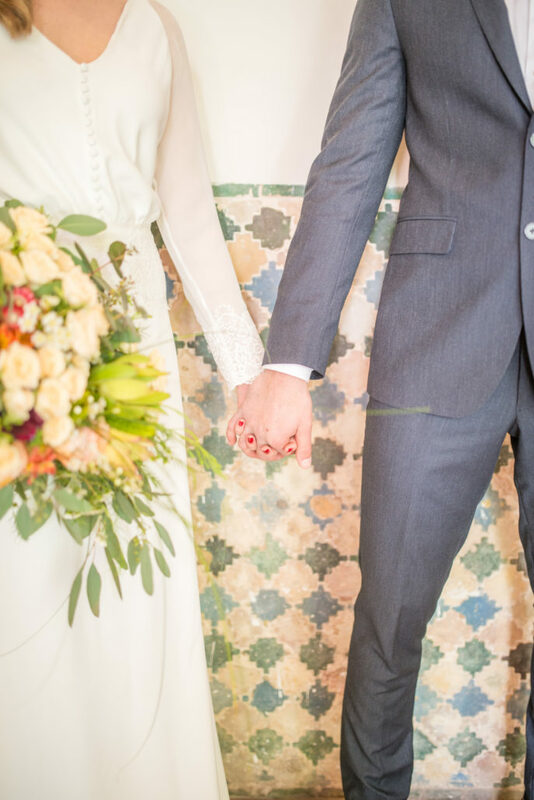 Anna+Mateo are a couple of photographers based in D.C. but in love with the world! They love to tell stories and emotions. They capture each detail with an extreme sensitivity, transmitting their love and passion through sweet and romantic pictures. 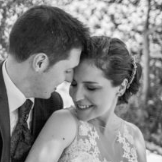 Their natural and romantic style gives life to a timeless photography. Their works have been published in the most important wedding blogs as Wedding Chicks, Magnolia Rouge, and 100 Layer Cake. You can visit their website to see their beautiful works. 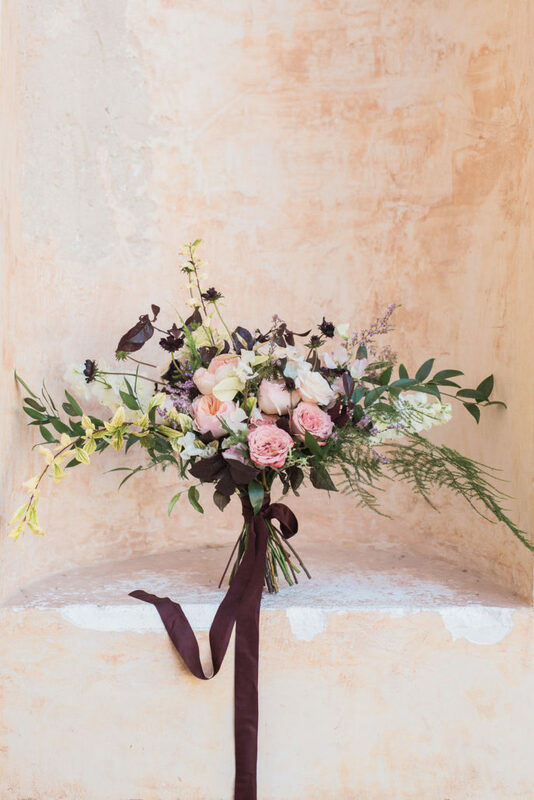 Alejandra Romero floral studio, will be in charge of creating a romantic, unique and unforgettable setting for your elopement in Andalucía. Her creations reflect the sensitivity and love that Alejandra has for the flowers. Each bouquet adapts to the personality of the bride, but always following a delicate and current style. If you want to see her works, you can visit her Instagram profile. 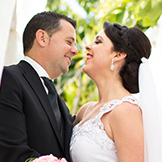 When couples choose Spain as destination for their elopement, they are far away to organize and plan their special day perfectly. 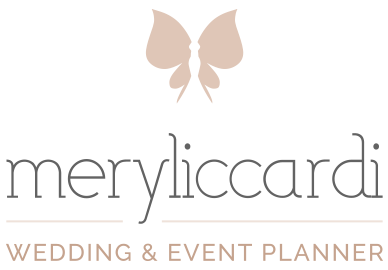 With our Wedding Planner service we look for the best venues and professionals of the wedding industry. We design and decorate each space and on the day of your wedding we coordinate all vendors and we make sure that everything goes well. For more information about our works you can visit our section of Weddings and Destination Weddings. 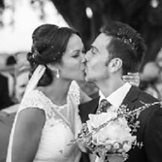 And if you need more info about getting married in Spain, you can visit this page. We will be happy to make your dream come true! Tips for healthy hair and ready for the big day The wedding receptions. Tradition or a big party?